GNU is a computer operating system developed by the GNU Project. The GNU Project is a free software mass corperation Project, announced on September 27, 1983 by Richard Stallman at MIT. GNU’s initiative is ‘GNU is not Unix’. It was gave the name because of it’s design seem likes Unix but it is free software and does not cover any Unix codes. Up until now, there is no accomplished GNU system. It’s affidavit kernel is GNU Hurd. While GNU Hurd was developing, it has some license problems and some structural changes was applied. Later, Linux step in and a lot of GNU users migrated Linux kernel. GNU assists another softwares like Xorg or TeX. 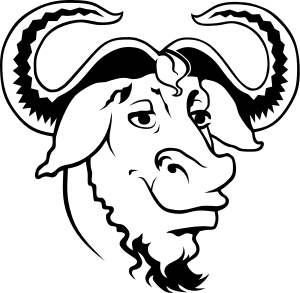 GNU sytem’s primal contents are GNU Compiler Collection(GCC), GNU Biary Utilities (Binutils), GNU C library (glibc) and Coreutils. It uses Xorg for visuality andı t uses TeX for orthography. All GNU softwares are not compatible with GNU Hurd kernel. Users who use Linux kernel says Linux their system but GNU Project suggests GNU/Linux. This discussion continues for a long times. The GNU Public License (GPL), the GNU Lesser General Public License (LGPL), and the GNU Free Documentation License (GFDL) were written for GNU but they are used by many unrelated projects. GNU GPL or just GPL is an free software license which use a lot of areas. It was written for GNU Project by R. Stallman. Third and last version was written FSF and Eben Moglen. This license’s version of current published by FSF on June 2007. GNU GPL is the most common example in copyleft licences. At the present day millions of application softwares uses it. Users know that software have it’s inside what. The software uses lots of people so the mistakes are founded and the problems are solved easily. Users are free to change somethings in software. Unless they can do that, they can find the software’s right version in the internet. Anyone can not steal developers’ codes. The software’s quality can increase because of a lot of people use and change the software.